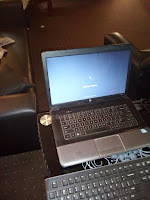 A Nigerian used HP Laptop in good working condition up for sale. Why not save some money and buy a good used laptop and use the rest amount for something else. This laptop and some other items are available for sale.